During the Cold War, the United States and the USSR engaged in a zero-sum game throughout the globe; while mutually assured destruction prevented the two nuclear superpowers from fighting a hot war, they did conduct an extensive war of proxies on nearly every continent. In the 1970s, just as Saigon – and American influence in the region – was falling, a new hotspot emerged in oil-rich Angola. After many years of conflict, Angola had gained its independence in 1975. That led to a fight for dominance among the three nationalist movements: the People’s Movement for the Liberation of Angola (MPLA), founded in 1956; the National Front for the Liberation of Angola (FNLA), established in 1961; and the National Union for the Total Independence of Angola (UNITA), founded in 1966. The U.S. supported the FNLA in an attempt to counterbalance the growing number of Cuban troops, which supported the MPLA. The concern was not only the spread of communism on the continent, but also the fear that the oil industry would be destroyed by the rebels — the U.S. and Europe were feeling vulnerable after the 1973 Arab oil embargo. Henry Kissinger and others felt compelled to react and tried various plans — including aid funneled through the CIA — but were also hamstrung by political realities. Assistant Secretary for African Affairs Chet Crocker then pursued a bold plan to break through the logjam by negotiating the departure of Cuban troops from Angola while South Africa withdrew from Namibia. Because of mutual suspicions and fear, the plan took years to finally coalesce. However, in 1986 Fidel Castro and then the South African government finally accepted Crocker’s proposal in principle. That paved the way for the December 22, 1988 signing of the Tripartite or New York Accords, which granted independence to Namibia and ended the direct involvement of foreign troops in the Angolan civil war. 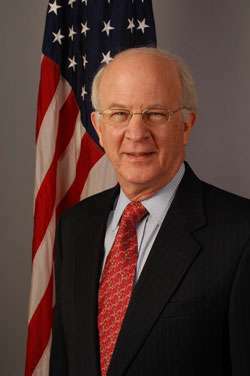 Frank G.Wisner was working in the office of Under Secretary of State for Political Affairs and discusses the tortuous road of negotiations and road blocks and Secretary of State George Shultz’s stand against tough opposition; he was interviewed by Richard L. Jackson beginning in March 1998. A policy officer in the Africa Bureau, John Propst Blane, was interviewed by Charles Stuart Kennedy in August 1990. The United States had been involved in Angola way, way, back in the early ’60s in the Kennedy time, and we had supported Holden Roberto of the FLNA, an Angolan national liberation front, but over the years he hadn’t gone anywhere. He was a reasonably incompetent fellow and our support through Zaire to him had trickled down to virtually nothing until this crisis developed when the Portuguese took the decision to leave. The Portuguese made that decision even worse by sending an admiral, a communist admiral called the Red Admiral, Rosa Coutinho (at left), to be the last Governor General, and they negotiated a flimsy agreement between the three Angolan parties – UNITA [National Union for the Total Independence of Angola], FLNA [National Liberation Front of Angola], and the MPLA — at Alvar. But Coutinho was determined to turn over the country as best he could to the mixed, mulatto, left-wing, Luanda-based, tribal, northern tribal party of the MPLA. And so a lot of Portuguese military equipment was turned over to the MPLA, and the FLNA and UNITA found themselves on the short end of the stick. The coalition arrangements blew up. FLNA and UNITA, one went north, the other went south. Roberto ended up with [Zairian President Sese Seko] Mobutu and FLNA began operations there. Another man named Daniel Chipenda, who ceased to be very important, was the connection to the South Africans for UNITA in the beginning until it later became a real South African-UNITA connection. BLANE: In Angola, we felt that the situation simply was beyond our control; there wasn’t anything the United States could do about it. Remember that all of this was coming down in Angola at exactly the same moment helicopters were lifting people off the roof in Saigon. And we considered it unlikely that the United States government would ever devote the manpower and resources to Angola that it would take to reverse the flow of events there. Nor did we necessarily feel that it would be in the best interests of the nation to do so. [Secretary of State] Mr. [Henry] Kissinger felt that we could do something, we could turn things around. He was wrong, of course, but he tried. WISNER: We were faced with a challenge: Were we going to see a new, seemingly communist- led offensive move in, take over oil-rich Angola and begin to carry the Cold War into southern Africa? Or were we going to try to stop it? As Henry Kissinger’s response took shape, it was to try and block this MPLA communist-backed takeover in Angola, then to intervene diplomatically in Rhodesia and Namibia and to leave Mozambique for later. Now, to blunt the communist takeover, we had to make certain that the non-communist elements weren’t thrown off the chess board, and that meant getting support — first to Mobutu and through him to the FLNA — and keeping an eye on this phenomenon we never knew very much about — UNITA. Now it is wrong to say that we began cooperating with the South Africans. We did not. 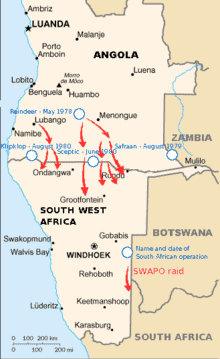 They were pursuing their own objectives, which were to push back the support, keep a division between the new communist and left-wing dominated Angola and SWAPO [South West Africa People’s Organization], which was giving them the dickens, and to have a better, stronger presence in the South. Now, how were we going to get assistance into the Angolan non-communist side? Well, we weren’t going to be able to walk down to Congress, in the aftermath of Vietnam, and say, “Look, let’s send American military trainers and equipment over there to Mobutu,” so Kissinger and the President made the decision to go to the Agency. And the CIA was given the task of putting together the kinds of packages that would make it possible for the non-MPLA parties to defend themselves and maintain a balance of power inside Angola. Maybe even right the situation. Joe [Sisco, Under Secretary of State for Political Affairs], whose eyes I said were on getting out of government, didn’t want to get too close to this rather seedy affair and was only too happy to let me be his representative, and for a lot of the coordinating meetings that took place within the Department and at CIA. The major burden fell on the African Affairs Bureau which was a further complicating factor because the Assistant Secretary, Nat Davis, having just been targeted for his role in the Chilean Revolution, didn’t want any part of the Agency’s operation, he refused — sat down in his job and wouldn’t act on the Angolan case, tried to act against Kissinger’s policies — until he was given another diplomatic assignment. Kissinger sent him to Switzerland. He behaved in what, in my judgment, was a very, very bad manner, and poor Ed Mulcahy, the Deputy Assistant Secretary, carried the burden of development of a very complex and sophisticated, covert action, diplomatic strategy designed to try to check the advance of the Cubans and the Russians, without much help from Joe [Sisco] and without any help from his own Assistant Secretary. He was brilliantly and ably supported by a very able Central African Desk Officer, shortly to become Ambassador to Zaire, Walt Cutler. But with INR [Bureau of Intelligence and Research] on our side, the three of us went out to these meetings in the Agency, and the Agency’s heart was not deeply in this scrap either. They’d just been pasted in various Congressional committees and the object of press attacks by Dan Schorr…and to go into a new covert undertaking for which they would end up holding the bag would be increasingly expensive. 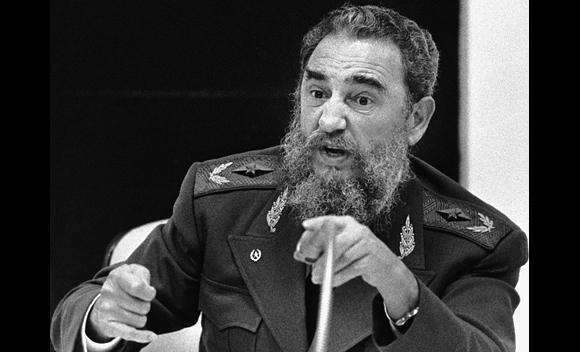 The effort was, in retrospect, flawed, furthermore, by the fact that what we could do in a covert manner was not up to what the Cubans, plus the Russians, plus the MPLA were going to do. It was going to be too small, we had to move very quickly, and we did — cobbled together a bit of a military response. Holden Roberto’s people turned tail and ran. Then we were faced with an escalating presence of Cuban troops, Russian arms, and increasing Congressional concern leading up to the end of the year with the emergence of the Clark Amendment cutting off all covert assistance. It cut off all covert assistance to the Angolan civil war, at which point Joe Sisco dumped this matter on Bill Schaufele, the new Assistant Secretary’s, desk. The CIA was cut off, and we were driven back. The stage was now MPLA in Luanda and Roberto having been unmasked as feckless, but — although badly beaten and driven back to the corner – [UNITA leader, Jonas] Savimbi in the south down in Jamba, having forged the beginnings of an alliance with the South Africans who had intervened tried to get us in deeper with them — we’d never done it — despite constant assertions later on. Very, very marginal tactical cooperative moves, and here we were. The stage was now set for what was to be a much more complicated problem, for now you had a large Cuban military presence in Angola, not only training the MPLA but fighting alongside it against UNITA in the south and increasingly with South African assistance. It was this fact, and the extension of the Cold War into Africa, and the further extension of the Cuban presence into Ethiopia very shortly thereafter, that drove Henry Kissinger to accelerate his diplomacy in southern Africa and provided the core of the logic for the policies followed during the Reagan period by Chet Crocker. With the Clark Amendment, we were out of business in Angola. We had not succeeded in isolating the MPLA diplomatically in Africa, we had not gotten the American oil companies to cut off payments to the MPLA government, we even came close to getting serious retaliation from the Nigerians. We hadn’t stopped the Cubans from arriving. But to stick with the Angolan story, there was a period from about 1976 until early in the 1980s where the MPLA regime consolidated itself in Luanda, the FLNA ceased to be a real fact of life and the Cubans remained in Angola. UNITA began to go from strength to strength and intensify its association with South Africa, receiving South African support to oppose the MPLA, on the one hand, and, on the other doing South African’s bidding by keeping a bit of a clamp on SWAPO. This interregnum or this period lasted until, as I say, the early 1980’s when in 1980 Ronald Reagan was elected President of the United States and came to office bringing Al Haig to the Department of State, Deputy Secretary Clark with him and Chet Crocker, after a brief and unwanted debate over Crocker’s qualifications, as Assistant Secretary. Now Chet, in my experience, is one of the more remarkable foreign policy minds that I’ve known and been associated with in my career. Chet sat down and began a fundamental re-conceptualization of American foreign policy in Africa…Chet had devoted his life to teaching, thinking and writing about Africa, and Chet believed that the United States had an enormously important role to play, not only for geostrategic purposes of making certain that we were not outflanked by the Soviet Union with the Cubans at their sides in the Third World, but had a mission in Africa to carry out. Crocker’s concept, in the briefest word, was to try to negotiate, between South Africa and the peripheral states of the region, a set of understandings that would calm the region down, create a greater degree of security. Security would serve American interests, but would also create an atmosphere for South Africa within which change away from apartheid and toward a pluralistic, multi-racial society and democracy could take place. That was the core of Crocker’s view. Now, when it came down to the practical reach of it — and we’re on to Angola looking at the Angolan dimension — Crocker could see no way in which, by simply beating on South Africa’s door as had occurred ever since the end of the Kissinger period — these habits of the past just weren’t going to do it. And so Chet came up with the singularly important notion that everybody’s interest would be served, on the one hand, by convincing the Cubans to withdraw from Angola and the South Africans to withdraw from Namibia, turning Namibia over to the UN and allowing Angola to settle down to the equally tough job of internal reconciliation between the UNITA southern-central, Angola-based tribal elements and the MPLA’s more northern reach. This was a bold idea. It really caught the South Africans off guard, hoisted them on their own petard. It hoisted them on their own petard because they claimed in part that they were facing foreign aggression, foreign intervention, that they were carrying the banner of the West. This gave them a way out. The Cubans would leave and South Africa would have to retreat. It also gave the Africans something to work for, though they didn’t like it and protested vigorously. American diplomacy now linked South Africa’s withdrawal to an internal decision taken by one African government — the MPLA — to invite the Cubans to leave. Yet in private, African governments found it difficult to deny the inherent logic of the matter, but wouldn’t admit to it. They protested. But for the first time in years, we had a formula for unblocking the diplomacy that the United States, Germany, France, Britain were involved in. 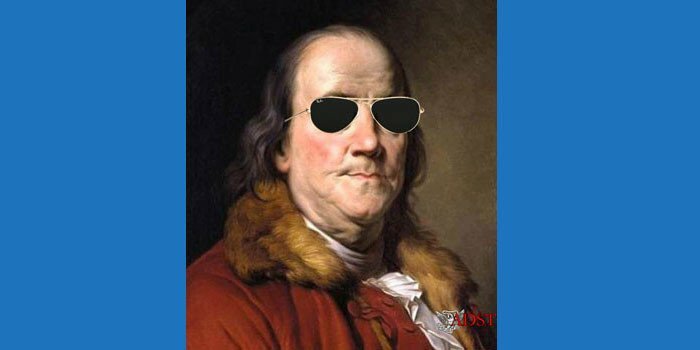 For a while, the French went along with it and then, seeing no particular movement and not liking to find themselves side-by-side with the United States — the French eventually dropped us. The Germans were never were comfortable; the Canadians, who regarded their UN commitments as of a higher priority than their sense of geostrategic purpose, also were not very comfortable, and the Contact Group as a result became less and less effective as an institution, less and less coherent as an institution. The British gave us, throughout, strong understanding and effective support. The Angolan matter was, therefore, an issue of putting before the Angolan government a set of proposals that would ease the Cubans out and before the South Africans a set of proposals that would force them out and bring the UN in to Namibia. And the hardest part was, of course, getting the Angolans to buy this package for they didn’t like the linkage. They were under terrific pressure from the Cubans, they had support from the Russians, and they certainly didn’t like having to bob and weave and dance to our tune. They were fundamentally distrustful, at the end of the day, that they would be caught without their Cuban shield while South Africans would still have an ability to intervene on their front and that we wouldn’t be able to keep — wouldn’t intend to or be able to keep — our word on both ends. In this interim period and more precisely, of ’84, we were probing the Angolans from about every direction. We worked with the Portuguese, I visited Lisbon frequently, we worked closely with the Cape Verdeans, we were able to get the Angolans to come and meet us in Cape Verde and exchange positions there in the Cape Verde Islands. We were able, as well, to engage the Mozambicans, who wanted some American sympathy and support, as their own internal rebellion was rising very fast and the regime was under cruel pressure in Maputo from RENAMO [Resistência Nacional Moçambicana, a liberation movement turned political party in Mozambique], backed by the South Africans. 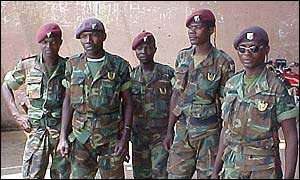 The Mozambicans wanted help from the United States, so they, too, undertook to put us together with the Angolans and explain our logic to the Angolans. The Angolans regarded them as something of the poor cousin and weren’t entirely sensitive to their point of view and, certainly, to being pushed by the Mozambicans…With Machel, Chessano, Veloso, Honwana, and other Mozambican leaders, we were able to build confidence and broker an understanding with South Africa. The South African Foreign Minister played a key role; his colleagues in Military Intelligence did a great deal to upset Nkomati, believing that RENAMO could win and convinced that Crocker and our Secretary of State did not have White House backing for our diplomacy. 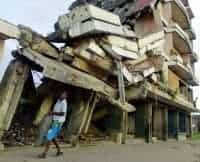 Coming back to Angola, we faced yet another growing crisis inside the American administration. Unable to move the Angolans quickly to this linkage theory, the Republican conservatives, many of who were in touch with South Africa, including Bill Casey [Director of the CIA], set out to restructure and reorder American’s African policy and have us firmly, unequivocally on the side of non- or anti-communist movements. Pushing Savimbi’s case to the fore and breaking our diplomacy with the MPLA became a concerted objective, not only of a number of Republican conservatives including some in the White House like Pat Buchanan [a former political advisor for Richard Nixon], but also drew sympathy from [Deputy Secretary] Clark from time to time, who ended up as National Security Advisor. With the heavy pressure from Bill Casey, there was extreme tension between ourselves and the CIA and between some of the President’s advisors and [Secretary of State] George Shultz, who stood by our effort in diplomacy and this balanced view of what served our interests in a stalwart manner. Once convinced of a case, George Shultz’s crowning character trait is to stand stubbornly by it and defend its logic. 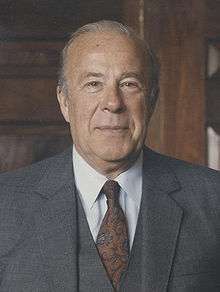 George Shultz has never been properly recognized for his contribution. Without his unstinting support, I suspect Chet Crocker would have been destroyed politically. I would argue that the point we had to make clear to the Angolans was that if they did not decide to seek a diplomatic outcome – the negotiated withdrawal of Cubans and South Africans — then time was going to run out in Washington and we were going to be under pressure increasingly to take Savimbi’s side. In the summer of 1985, the most unusual of events took place. The Congress, at one and the same time, voted in a totally contradictory manner. Congress repealed the Clark Amendment, thereby enabling the recommencement of covert assistance to Savimbi, and, on the other hand, voted a pile of new sanctions on South Africa, complicating our ability to deliver the South Africans to the outcomes that we thought made sense. The left won the constructive engagement fight and the right won the fight to take a clear “anti-communist” stand, so each got something, however contradictory. To make matters worse, the United States was consumed by the anti-apartheid debate, made more complex by the stubborn behavior of P.W. 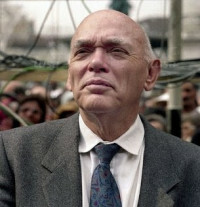 Botha, the President of South Africa. It took a new man in the form of De Klerk later on to liberate South Africa from some of the strangleholds of strict Afrikaner orthodoxy that P.W. Botha had imposed in his time. There was finally an agreement. There was a structured withdrawal of the Cubans, a structured withdrawal and turnover to the UN in Namibia, and Namibia went on to independence, the Cubans went home, opening the way to the last chapter of the Angolan story, which is the struggle for supremacy inside Angola and again the UN’s reinvolvement in sorting out between the MPLA and UNITA…. BLANE: In the first place, as I say, we thought there was nothing we could do about it. The MPLA might not be the best vehicle in all the world for a government, as far as our interests were concerned, but it was beyond our poor powers to change anything, one. Two, we had real American interests in Angola: oil. Angolan oil is exploited solely by American companies. The American companies were all in favor of our just staying the hell out of there. Because they got along perfectly well with the MPLA, and still get along well with the MPLA. They never had any trouble whatsoever. So our real cash money interests were being protected.